Review: 2014-03-15, Ovince St Preux vs Nikita Krylov gets three stars thanks to a spectacular finish (UFC Performance of the Night). Ovince St Preux entered this fight with a mma record of 14-5-0 (71% finishing rate) and he is ranked as the No.28 light heavyweight in the world, he suffered his last defeat in 2011 when he faced Gegard Mousasi (=Mousasi vs St Preux), since then he has collected three consecutive wins. His opponent, the balck belt in Kyokushin karate Nikita Krylov, has an official record of 16-3-0 (100% finishing rate in the first round!!! ); he dubuted in the Ufc last year losing to Soa Palelei (=Palelei vs Krylov) but then he defeated Walt Harris in just 25 seconds in his second Ufc bout. 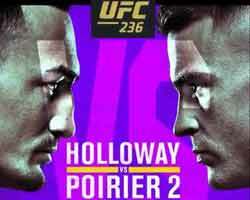 St Preux vs Krylov is on the undercard of Johny Hendricks vs Robbie Lawler – UFC 171. Watch the video and rate this fight!